Have you heard Game's new track R.I.P. Story [Produced by Nottz]? It dropped on Monday, January 24th, 2011. Give R.I.P. Story [Produced by Nottz] a spin - it's the latest release from Game, having dropped on Monday, January 24th, 2011. Listen to R.I.P. Story [Produced by Nottz], a new offering from Game, which was released on Monday, January 24th, 2011. Asher Roth & Nottz - Gotta Get Up Feat. D.A. Asher Roth & Nottz Feat. D.A. 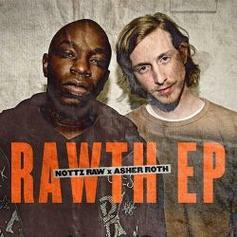 Stream Gotta Get Up, the newest drop from Asher Roth & Nottz which features D.A.. The cut was released on Saturday, December 18th, 2010. Give Break Bread a spin - it's the latest offering from Asher Roth & Nottz, having dropped on Friday, December 10th, 2010. Bump Run It Back, the latest cut from Asher Roth featuring Nottz on the assist. It was released on Thursday, November 11th, 2010. Give I Do It For Yawl a listen - it's a new offering from Nottz, featuring Kardinal Offishall & Little Brother. It was dropped on Wednesday, October 20th, 2010. Nottz - Never Caught Slippin' Feat. Snoop Dogg & Royce Da 5'9"
Nottz Feat. Snoop Dogg & Royce Da 5'9"
Stream Never Caught Slippin' (Prod. by Nottz), the newest drop from Nottz which features Snoop Dogg & Royce Da 5'9". The cut was released on Monday, October 18th, 2010. Stream The Cycle, the newest drop from Nottz which features Joell Ortiz. The cut was released on Thursday, October 14th, 2010. Check out Dontcha Wanna Be (My Neighbor), the latest track from Nottz, featuring Asher Roth & Colin Munroe which dropped on Friday, October 1st, 2010. Stream Blast That, the newest drop from Nottz which features Black Milk. The cut was released on Monday, September 27th, 2010. Check out Classic (Prod By Nottz), a new track by Rah Digga, which dropped on Saturday, September 11th, 2010. Listen to Rah Digga's new song Straight Spittin IV (Prod By Nottz), which was released on Wednesday, September 8th, 2010. *** JUST ADDED ***Check out Enforce The Law (Radio Rip), the latest from Asher Roth which features a guest appearance from Nottz on the. The track was released on Monday, August 30th, 2010. Give The 1ne a listen - it's a new offering from Nottz, featuring Alchemist. It was dropped on Monday, August 23rd, 2010. Stream Cars (Remix), the newest drop from Nottz which features Rah Digga. The cut was released on Saturday, June 26th, 2010.